Even though the vast majority of us are jamming out on our smartphones these days, we have been talking about getting updated iPods for a while now. 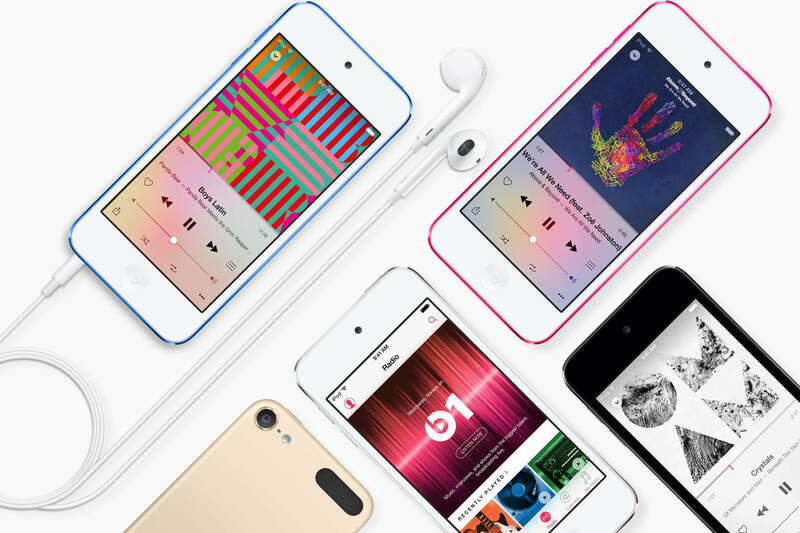 The sixth-generation iPod Touch came out four years ago, making it something of an ancient product for what is usually a cutting-edge company. Apple has been batting cleanup on old tech products this week, launching updated iPad and more powerful iMac models over the past two days, and leading many industry insiders to believe that the long-rumored iPod update will soon follow. For those of us who have been blasting our tunes via Spotify or Apple Music on our cell phones for years, it might seem like there aren’t very many people interested in what is essentially an iPhone without a cellular connection. It turns out, the lack of 4G connection is actually part of the appeal for many iPod owners. It’s also a great way for parents to give children access to iOS apps and their favorite media without giving them an actual phone. It’s also popular among developers, who often use iPod Touch devices as cheaper testing devices than more-expensive iPhone models. Expected upgrades, should a new iPod emerge on Wednesday, March 20, include a faster processor — an A10 Fusion or A11 Bionic chip — which would allow the iPod Touch to keep up with the numerous updates to iOS that will be coming down the pipe in the future. Even with an update, Apple’s overall lineup of iPods will still be lonely: Apple discontinued all other iPod models in 2017, and there are very few manufacturers of portable music players these days, save niche products designed explicitly with fidelity-first audiophiles in mind. In any case, we look forward to seeing if the tech giant releases an updated version of its iPod Touch for the sheer nostalgia of a new iPod to check out, if nothing else. For those of you who are interested in buying a portable media player, you should check out our list of the best players available right now. From workout-focused devices to those with serious fidelity, there are a lot of products that might suit your needs.